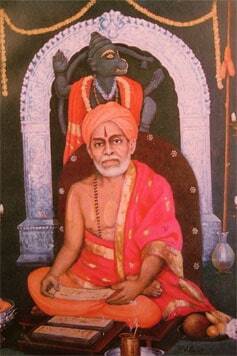 On account of Punyatithi Aradhana of H.H. 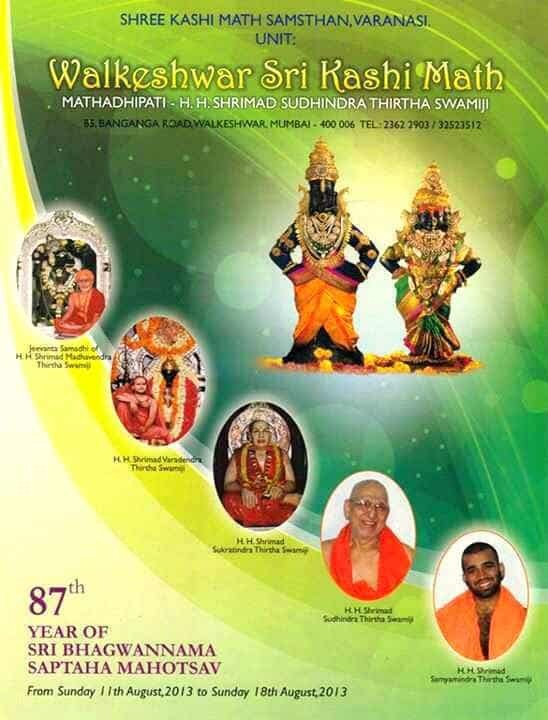 Shrimath Madhavendra Thirtha Swamiji, 87th Year of Sri Bhagwannama Saptaha Mahostav (7days of Akhanda Bhajana) will be held at Walkeshwar Shri Kashi Math, Banaganga, Walkeshwar – Mumbai (MH IN) starting from Sunday (11th August 2013) on the auspicious day of Nag Panchami. Also a 5 day Laghu Vishnu Havan will commence on Wednesday|07th August 2013 at Walkeshwar Shri Kashi Math.